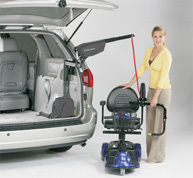 Operation ReMount provides disabled vehicle adaptations for a minimal cost. 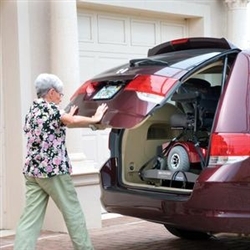 Vehicle adaptive equipment makes limited mobility a thing of the past. However, for many members of the disabled community, the cost of vehicle adaptations are prohibitive and virtually never covered by insurance. FODAC’s vehicle modification program, Operation ReMount, installs equipment such as scooter hitch lifts, full size van lifts, 4-point tie downs and more on your car for minimal cost. We remove adaptive equipment from vehicles at no cost and then refurbish and reinstall that equipment on a new client’s vehicle for a very low price. NOTE: FODAC has recently changed the method of requesting adaptive equipment for vehicles. Due to declining resource donations and changes in the construction of today’s vehicles. FODAC no longer accepts waiting lists for this program. 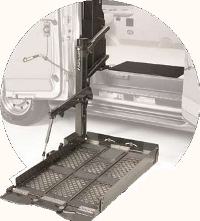 Availability and compatibility of vehicle lifts is unfortunately very limited. 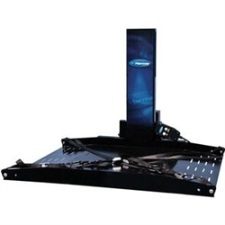 After consulting the vendors above, you anticipate the need of a hitch lift, you will then need to contact and work directly with ‘Hitch House’ (recommended) or your nearest U-Haul to have a class 3 hitch installed. They will need the weight of the chair/scooter (not ‘capacity’) and assume 125 lbs for the weight of the lift. If, after speaking with one of our partners and checking our inventory above, you determine that we have a lift that will meet your needs, please Email us. If you need to finance the purchase of a lift not in inventory, call Credit Able. Ramps: FODAC does not install nor provide ramps for vehicles. Our Remount Program is only available for ‘lift’ installations…no exceptions. Hand Controls: While we do accept donated hand controls, we are not certified to install them.